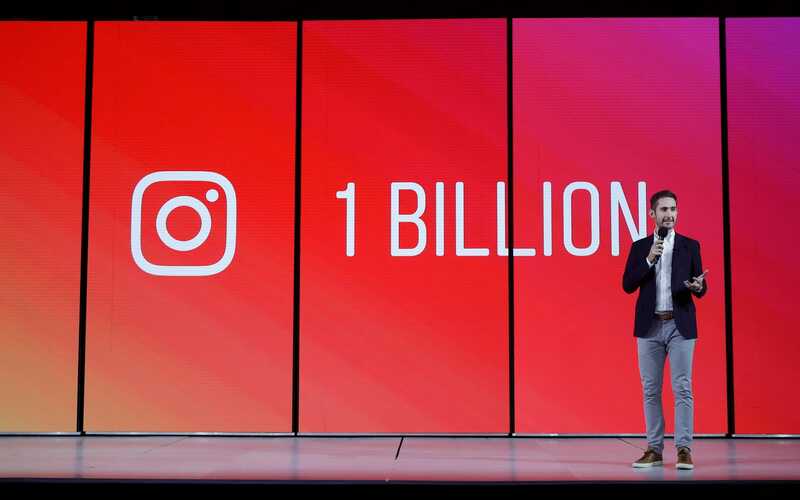 On Monday morning, it was announced that Instagram’s founders, Kevin Systrom and Mike Krieger, were to leave the social media company following rumours of frustration and organisational disagreements with Facebook CEO Mark Zuckerberg. Facebook purchased Instagram in 2012 and in 2015 began a series of changes to the user experience that were focused around timeline restructuring, monetisation and making the overall platform more friendly for advertisers. The changes have been a great success with Instagram projected to drive 7 billion dollars of revenue in 2018 and close to 27 billion dollars over the next 3 years. This has come as something of a relief for Facebook, following reports of brand content/advert engagement falling to their lowest levels on Facebook’s own platform earlier this year. Furthermore, studies have shown that Facebook is failing to engage with younger users (according to a Pew Research Survey) an audience where Instagram dominates. So while Facebook has seen rapidly falling membership from younger audiences and reduced engagement in brand/publisher content, Instagram has been able to fill those voids with great success and with minimal impact on adoption rate. With Instagram’s founders departing from the company, it will be left to Facebook’s leadership to find individuals to fulfill their roles. This will likely mean people who are friendly towards Facebook’s vision for the platform and will help deliver that message across the entire organisation. Furthermore, these people will not be likely to push back based on their own creative goals for Instagram, unlike its founders who were rumoured to have been unhappy with Facebook’s meddling in their company. Over the past 12 months, Instagram has announced various new tests and betas based around ecommerce and ads within the feed, while users have complained about the non-chronological timeline and decreasing engagement rates with their own posts. Before the algorithm change in 2016, Instagram had released 7 major updates to the platform, 2 of which were aimed at advertisers, following 2016 Instagram released 11 updates with 7 of them focusing on advertisers. Indeed, the platform has become so brand-friendly that roughly 7 in 10 hashtags are branded, and this should concern both users and advertisers. Instagram & Facebook: Like-for-Like Platforms? The above statement isn’t an entirely outrageous idea, Instagram is already rolling out more comprehensive shopping features and giving greater prominence to ads in both the timeline and stories. Meanwhile, the platform has been plagued with reports stating close to 10% of its user base being made up of bots, fraudulent influencer activity and falling organic reach and engagement for users. Instagram is rapidly reaching its saturation point and Facebook’s direction will only fuel that. Why should advertisers be concerned? As stated earlier, Facebook’s brand content engagement has reached its lowest point and is continuing to fall. Advertisers have been pulling their spend from the platform and pushing it into Instagram, however if Instagram is following the same strategy then it won’t be long before the audience starts moving away in search of a new social playground and ad returns start falling. These are all speculation at present but are based on the past behaviour of Facebook, what their current strategy with the platform indicates and their business objectives for both. Regardless of the outcome the future for Instagram is murky at best and advertisers need to be ready for whatever happens. Mitigating the risk associated with platforms driven solely by user behaviour is tough, just look at the almost overnight collapse of Myspace’s membership base. The main focus for all brands should be getting smart about social data and social attribution. Many businesses when they start on social media see it as a poor-performing, last click converter and, as such can be hesitant to invest whilst those who become early adopters see low ROI from their campaigns. However, it’s important to see that social media is just a part of a consumer journey from brand/product discovery to purchase. What type of users do social channels drive (new or returning)? What does their on-site behaviour look like compared to other channels? Use top conversion funnels to evaluate where social sits in converting user journeys? How effective is it as a branding exercise vs. performance exercise? From here you can start to build a conversion path model, attributing certain weightings to individual channels including social. From there you can then assess on a higher level the impact of social media on your business performance, ultimately meaning that you are able to move between social channels with ease and with a base understanding of how those moves will impact your campaigns. As a result, if users drop off of one platform or adopt another, you’ll be ready to test it with a full understanding of social weighting and evolve it as more social platforms and data gets introduced.